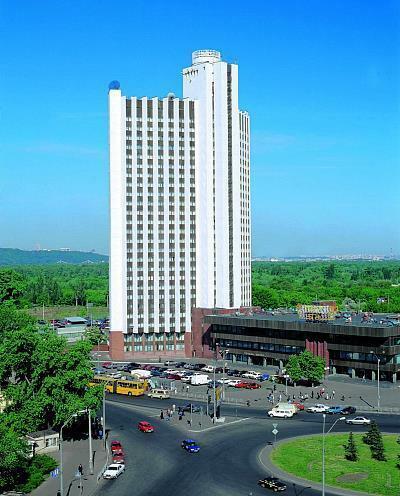 Located on the left bank of the Dniper River, three-star 27 storey "TOURIST" hotel is one of the largest hotels in Kyiv. The hotel is 10 minutes to reach from Kyiv’s city center by any means of transport. The metro station “LIVOBEREZHNA” is right outside the hotel as well as built International Exhibition center. The best views with all of Kyiv”s landscape, the Dniper River, Kyievo-Pechers”ka Lavra and many others are seen from the top floor rooms of our hotel. Hotel facilities include: Comfortable, cozy rooms with all conveniences (bathroom, telephone, 40-channel satellite TV, and refrigerator) at very competitive prices. Will be added at the nearest future.